On the trellis, I have planted three raspberry bushes and nasturtium. In the gardens, are swiss chard, celery, lavender, cilantro, marjoram, rosemary, cilantro, borage, cabbage, ornamental grasses, dill, coneflowers, hostas, black eyed susan, sunflowers to name a few. 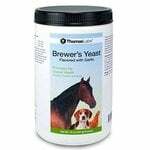 All of these are safe around your flock. In fact, this is their garden. 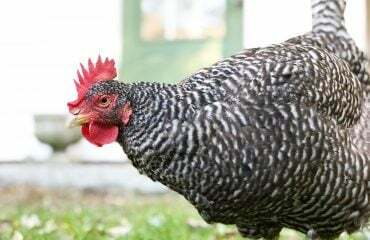 Once established and the plantings are larger, the chickens will be allowed to roam among the plantings and enjoy them while supervised. In the meantime, I will harvest small stalks and clippings for the girls to enjoy in the run. On the coop’s stoop, I have planted an edible container garden for the flock filled with lettuce, pansies, and climbing sugar snap peas. 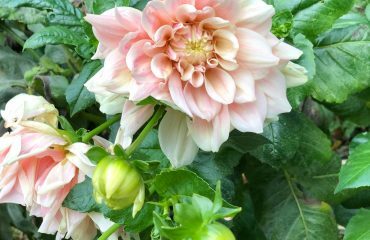 I love combining a variety of foliage and intermixing plantings. I’ve even started on the inside of the coop and thought you’d enjoy a little sneak peek. One of the best things that you can do to extend the life of your coop’s floor and make clean up a breeze is to lay down linoleum flooring. Painting the inside of the coop makes cleaning easier as well and extends the life of the coop. With some water and white vinegar, the painted surfaces are easily cleaned and disinfected. Painting the walls and adding lots of windows for ventilation also helps to disperse sunlight in the coop. Sunlight is a great natural disinfectant. With the abundance of light, some herbs were added to the upper shelf to keep the coop pest free. Here oregano, lavender and chamomile sit next to vintage blue canning jars that store oyster shells and grit. Why can’t the girls have some houseplants with benefits!? I share the coop plants with the girls too! I’ll share how soon. Even tin wall art can be added to the coop. This one is by artist Sarah Hudock. The round black fresh eggs sign is from Bainbridge Farm Goods. 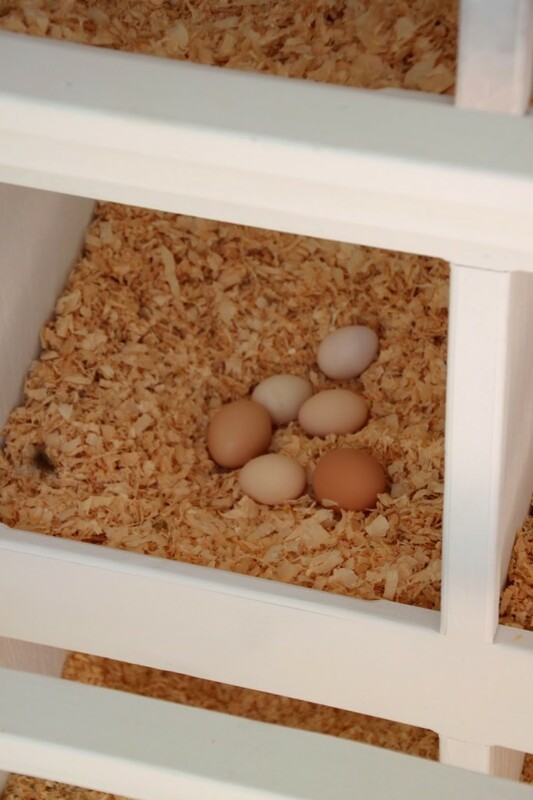 Of course, not surprisingly, the girls have a favorite nest box. Back outside, along the run fresh green grass has been planted. Once it takes root, this too will be one of the chickens’ favorite places to explore. The run itself is covered. This keeps the girls protected from the elements and shaded. I love that I can now sit inside the run and spend time with the girls. Our inseparable Buff Orpingtons, Oyster Cracker and Sunshine. The Silkies are hanging out by the Little Giant feeders filled with oyster shells and grit. 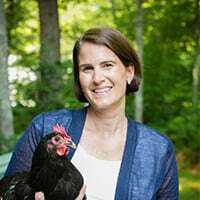 I have lots more to do and share over the next couple of weeks with you including some fun chicken ideas so stay tuned! Finally warmer days are upon us and I could not be happier, spending time outside with my family, flock, and gardens. I’m happiest when I feel the world around me blooming. Click here for an update on this coop. Sarah, the amazing woman behind Sarah Hudock’s Lighthearted Art, is an incredibly talented artist and a sponsor of ours. She designs beautiful artwork and has added her original paintings to tin signs. These signs are perfect for the coop or home.They are weatherproof and wipe clean with a damp soft sponge. This signs measures approximately 11 inches by 18 inches and retails for $72. 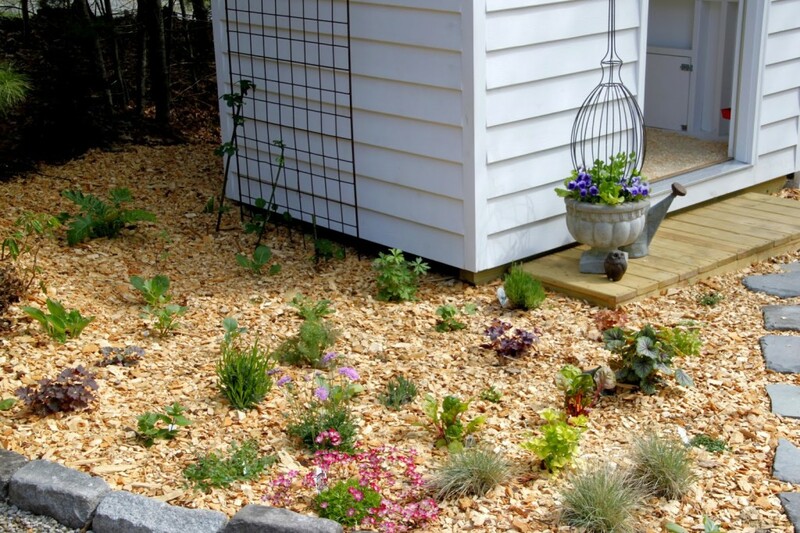 Love your new coop and run along with all the ideas for landscaping! 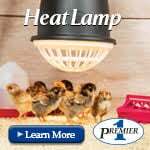 Your chickens must love their new home! i Love this one! It is so cute and your coop is a cute! I like the tin above, Bless our nest with the 3 birds. Totally have coop envy right now. Oh, I'm so happy I stopped by to see what you've been up too! The new coop is just beautiful Melissa inside and out! You've really outdone yourself with the design and the coop garden is lovely! I would love to be entered in the giveaway. Sarah's signs are beautiful! 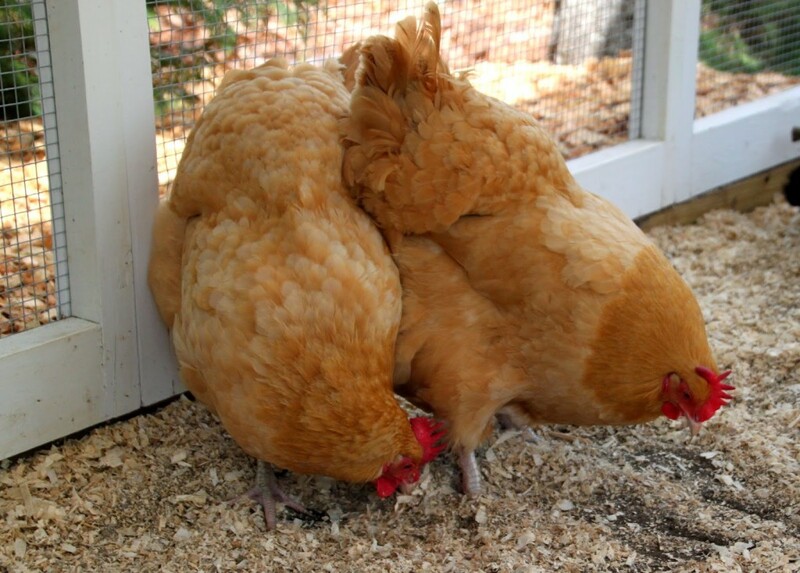 I love your coop..I've never seen one so beautiful…I better get busy and spruce mine up..your girls are so lucky. 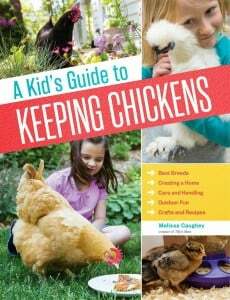 I've been raising chickens for about 3 years and have learnt so much from all of the blogs. Sarah's art is the best I've seen she is so talented. I would love to win this beautiful sign by Sarah Hudock. Love her artwork. 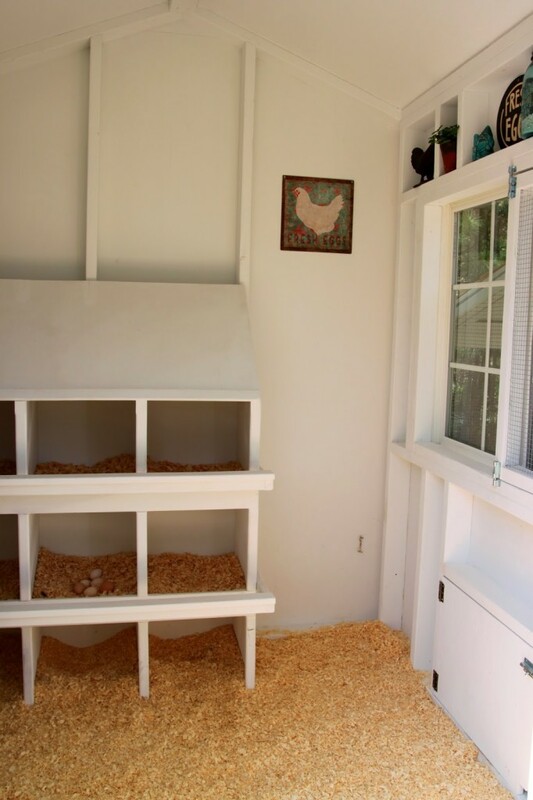 I like the coop with big windows, white paint lightens the inside, and do you have a secret to reducing the dust build up within the coop? Thanks so much! Regular weekly dustings helps. Shop vacs work the best when it comes to really cleaning things up. 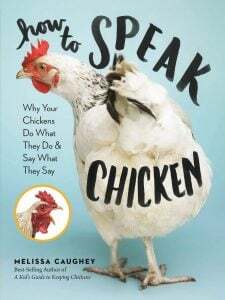 Chickens are just dusty. 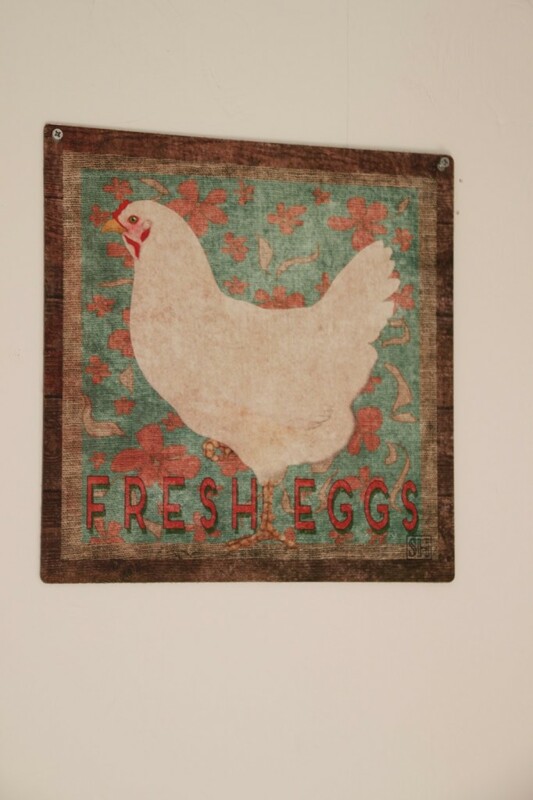 I like Sarah's signs with the hens, and my favorite one is the fresh eggs with flowered background. They are all very lovely, but my favorite is the Rectangular Tin Sign: Garden 3. 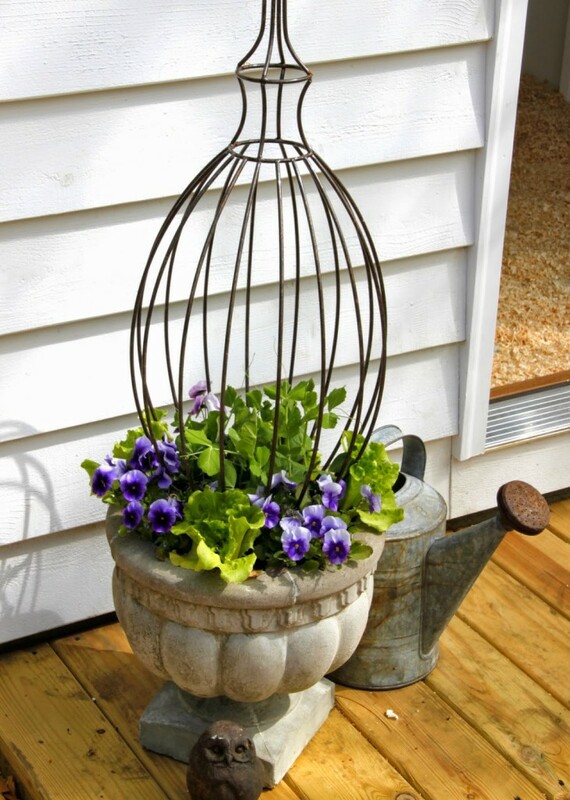 Love your coop and the gardens. I have bought a bunch of herbs and vegetables to add to my garden this year. I cannot wait to have herbs and veggies that my girls can munch on…they will be so excited! I love all of Sarah's signs….there were too many that I liked…I could not pick a favorite…! 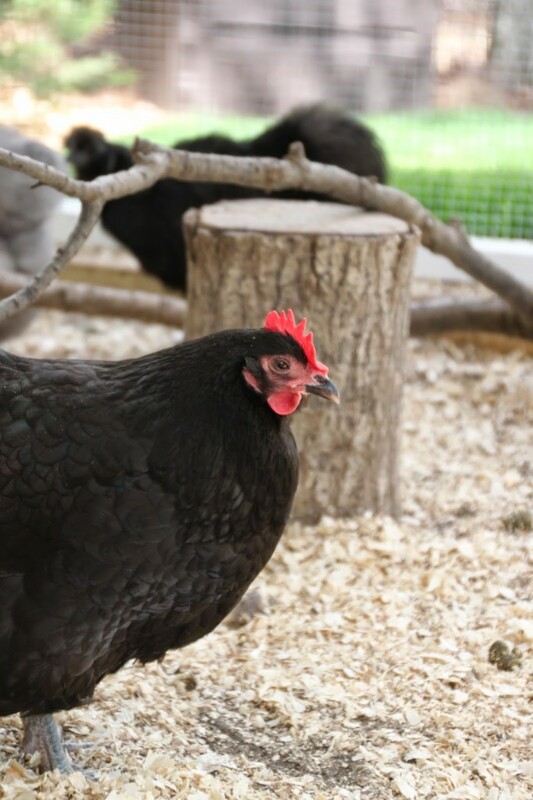 Beautiful photos of your coop and run. The little Silkies are simply adorable. 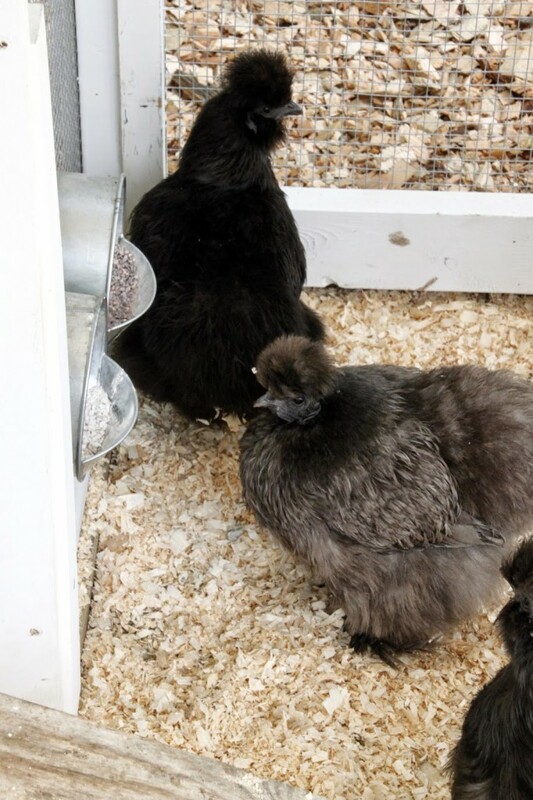 I love the "Bless Our Nest" sign – and I love your new coop! I do love your signs! I like Garden Blessings with the Rooster. I love your art. Thank you for a chance to win! great art work. love the bless our nest sign. I love the Pastured Fresh Eggs tin sign! 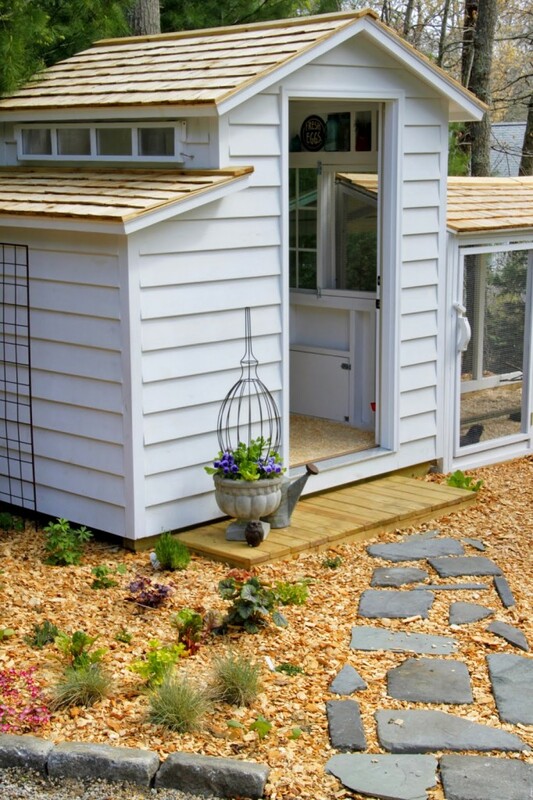 Love the coop – and the edibles are such a great idea! I'm sure you'll have some happy girls 🙂 I love the fresh eggs sign! I would love to win Sarah Hudock's tin sign. I am an admirer of her talents. 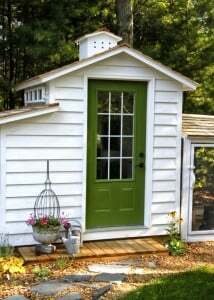 I also love your chicken coop and wish I had one just like it in my backyard. Your chickens are beautiful. I Love Bless Our Nest!!!!! My fav sign of hers is "hey girl, your coffee's ready!" your coop and run are beautiful; I can only dream about something that nice. mine is very ugly, made with upcycled, freecycled, and recycled materials. I'm JEALOUS! Bless our Nest! I like all of them!! I LUV Sarah's artwork! !…they are all my faves!!! Yours is the prettiest coop I have ever seen! love the coop, so clean and bright. Your coop gets more gorgeous every time I see it! 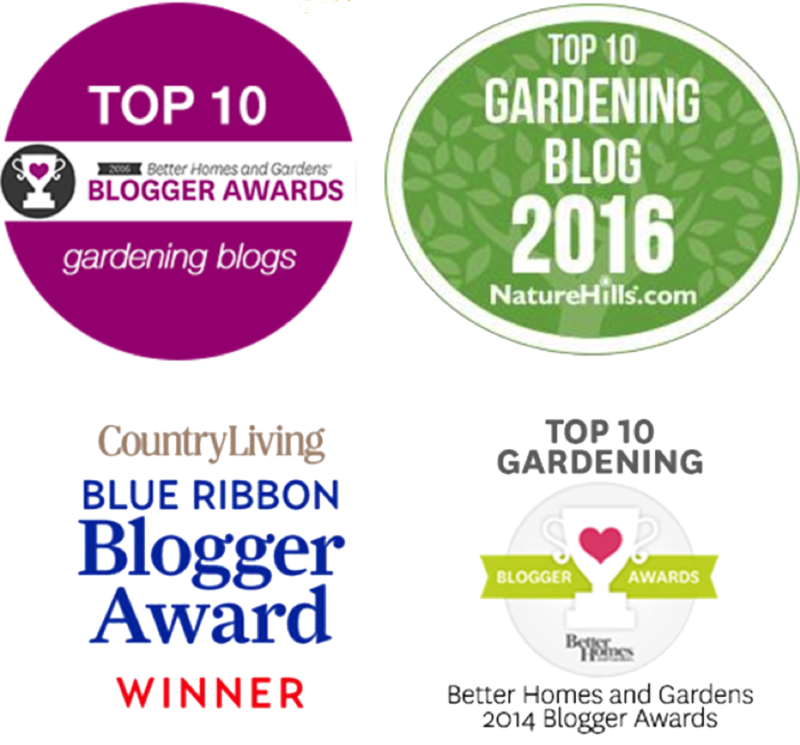 I had to laugh at the "hostas", though – one place I lived at had a lovely row of hostas along a large garden bed and by the time I moved on, they were completely gone – the girls had pecked them down to the roots! LOVE the signs – Sarah Hudock is SO talented!! Amazing Grace With the flag background. It's the one I have. 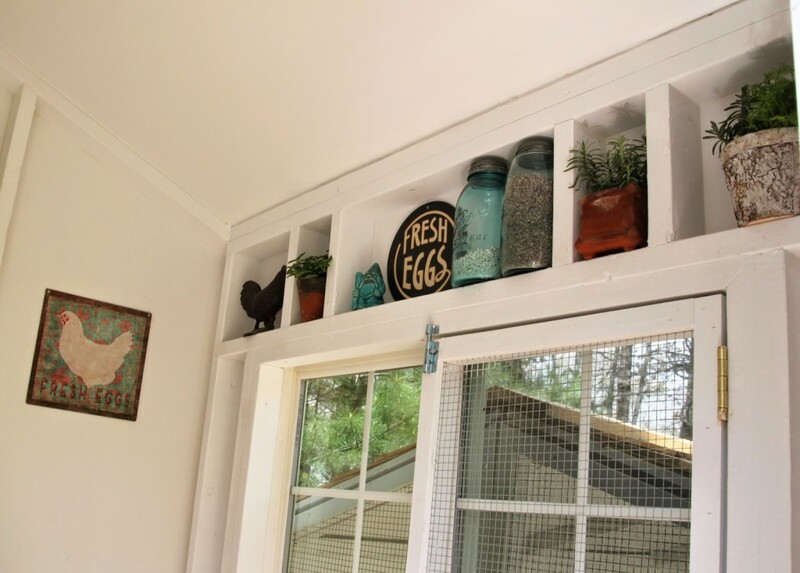 I have a list of coffee signs for my kitchen repaint I will get from Sarah…..Thanks for giveaway….Beautiful coop…. 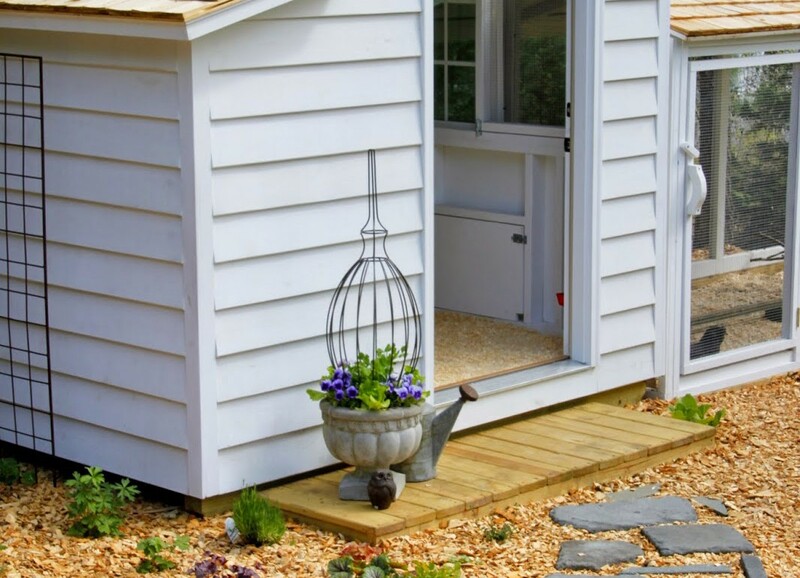 I have never seen a more beautiful chicken coop, Love this!! I want to live in there! It's beautiful! I haven't seen one that I DIDN'T like, but one of my favorites is the one stating" I'm in the Garden " and has a white hen peeking out from behind the flowers. I have a hen just like it that follows me around in our garden or flower beds as I work. She has learned there are tasty treats to be found as I dig. Often she gets in between my feet and hands and won't move, as if the treats are going to magically appear. Beautiful house, and the artwork! I love them all…especially ones with coffee cups!!!! I love all your wonderful art tin! Such colors and realistic portraits! A wonderful giveaway…I like all the signs, but I guess if I'd have to pick one it would be the Pastured Fresh Eggs. Hi Melissa… Where did you get the grit and oyster shell Little Giant feeders? They look perfect. I can't seem to find them online at all. Hope to hear back from you. Your coop has come a long way since that rainy delivery day! It's so fresh and clean. As for Sarah's artwork it's hard to pick just one. I love the Free Range Fresh Eggs and the one you are giving away. Thank you. 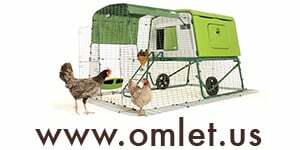 Love all your ideas, I have some in my Coop/run, Little Giant I have grit and oyster shell in mine to. and To be able to sit in with them, and walk amoungst them is a joy. Love your ideas blog and giveaways. Sarah is amazing. My favorite signs have been her garden pictures. She is so talented! And thank you for offering this great giveaway to all your readers. Love your coop! Am I registered for the contest? I love this so much!!! Could you tell me what size your coop is? I didn't see that particular one on the linked website you provided. Also what type and sheen of paint did you use on the inside? Did you insulate first or just paint the raw surface? Sorry to ask so many questions, but I seriously want to copy what you've done very badly! Also, what does the other side (inside) of the coop look like? Do you store supplies in there? Any chance you would post a pic? Thanks so much! 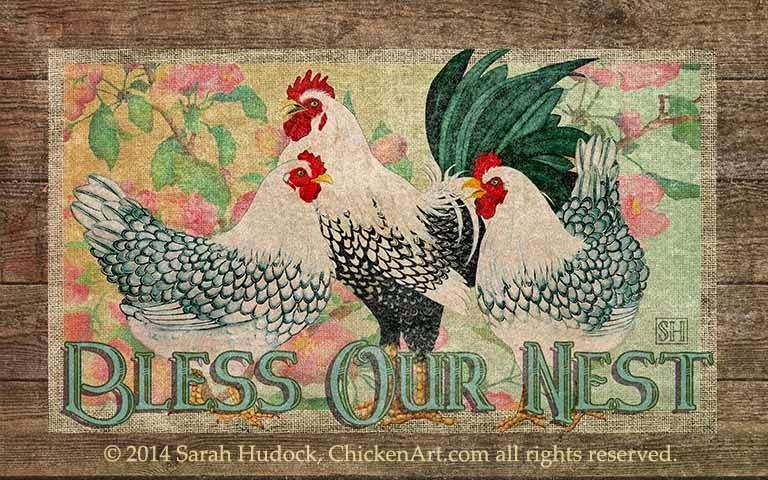 Hello, my favorite Sarah Hudock's Lighthearted Art sign is the Rectangular Tin Sign: Bless Our Nest Flowered with 2 Birds. Thanks for a great giveaway! BTW, you have the cleanest, chicest coop I have ever seen! Cute! How do you keep your coop so clean? We have dust and cobwebs everywhere! Thanks Audrey! This is a new coop, but a weekly dusting with a broom and dust broom works wonders. Every once in a while we break out the shop vac too. 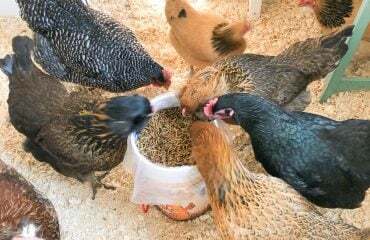 A clean coop really does wonders to keep the flock healthy and pest free. Is there any chance of getting plans for building a similar coop? If not, can you point me to where I could buy them? HI Evelyn! I designed the coop and http://www.greenchickencoop.com made it for me custom. However, due to requests, they now will make one for you. Give Dan a call. This is called the Tilly's Nest coop. Thanks for the list of chicken edibles. I'm growing a grape trellis out of cattle panels on the western side of the coop to give them some shade. Once it's established and hardy, they'll be welcome to grab anything at their level until I see too much damage. I also just planted some comfrey for them. I can't choose a favorite sign, I love them ALL! Your coop is so adorable. 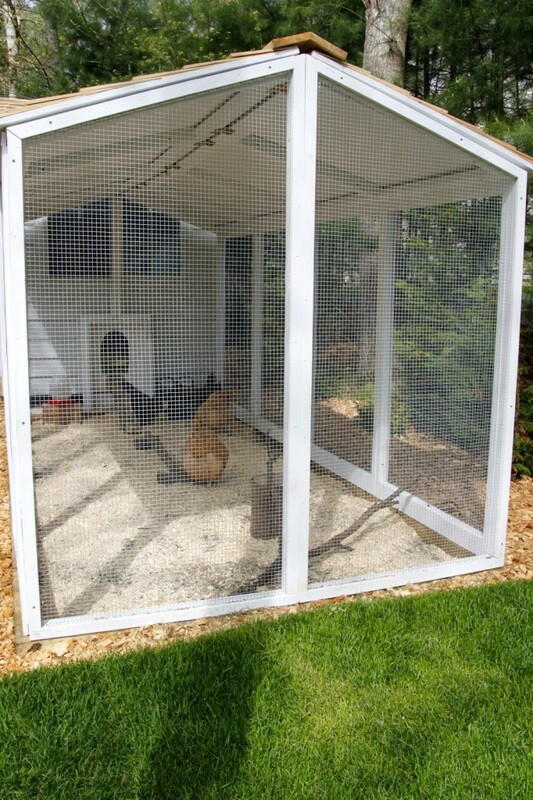 What a beautiful chicken coop!! Spotless!